Connected Composition: Teaching the "Letter to an Elected Official"
One way for students to learn how to become productive citizens is to craft a piece of argumentative writing for an authentic audience – a letter to their elected officials. The challenge is how to make sense of all the information on controversial issue. To make this proces manageable for my students, I've been using the gun control resources on the KQED Lowdown and the KQED DoNow websites, which have provided a good springboard for more sustained research writing and discussion. Here's how last week looked in my classroom. Day One: As of March 2013, KQED has seven resources under the gun control topic. Randomly assign students to read one of the seven articles in the collection of articles from the KQED. Individual students list the most important points of the article they were assigned; they write a brief summary of that article and cite the source using MLA format. Remind students that the most significant information might not only be in the story’s text (like facts or expert opinions) but might also be found in an image or graphic. Note: Although citing sources isn’t a typical part of a letter, in this case it is important for at least three reasons: 1) they are representing themselves as serious students to their elected officials and should demonstrate their academic skills, 2) citing the source might help educate the reader of the letter, and 3) the citation provides concrete support for their opinions. Divide students into seven groups and have them share their summaries with others who read the same article. Once students read their individual summaries, the group agrees on the most important five points from the article and creates a collaborative one-paragraph summary that best represents the ideas of the group. Here’s an example summary from my class. Individual students review their notes from Day One where they categorized the facts and opinions into two columns – one column for the information that could be used to support the argument for more gun control, and another column that includes all the information that could be used to oppose the argument for more gun control. Students rank (in order of importance) the top ideas or facts in each column. 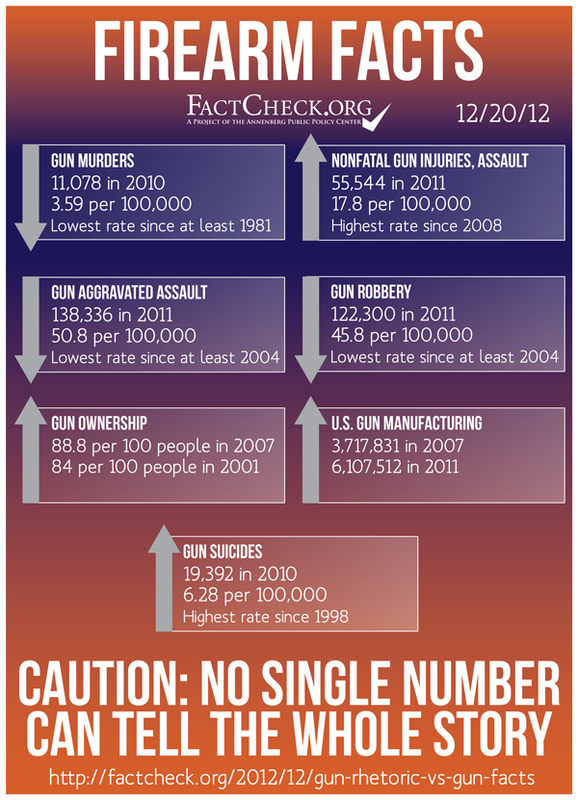 This is also a good time to discuss how some facts can be used to support both sides of the argument (example: “Gun manufacturing in the U.S. increased from 3.7 million in 2007 to 6.1 million in 2011” could be combined with other information from this FactCheck.org graphic to support either side of the argument). Research your local elected officials stance on the topic by reading information on their government website as well as information gleaned from news stories. Based on the official’s views, choose one to write the letter to. If the students aren’t sure who their elected officials are, look them up on the Common Cause website. Write a draft of the letter using the activities found on page 2, “Writing the Draft.” Tell the students not to worry too much about formatting issues right now, the important thing is to try to get the gist of their thoughts based on their reading and note taking so far. If you want more details, here's a link to the actual lesson plan.